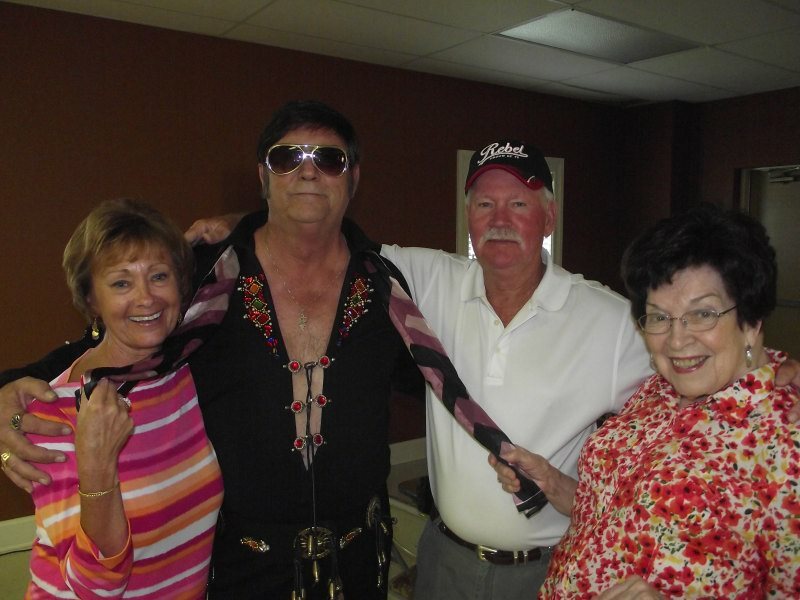 Elvis has arrived at Green Oaks Golf Course. 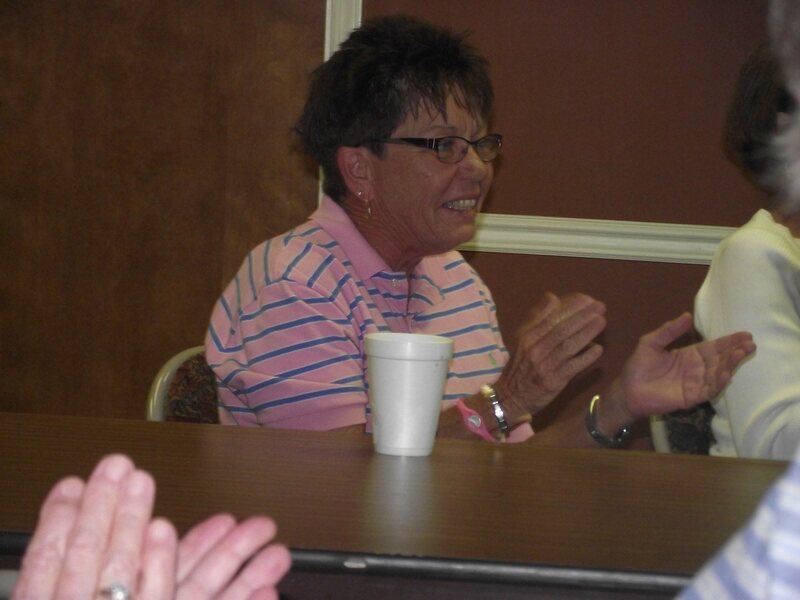 Well the Ladies playing in the Betsy Drane 2 lady Scramble tournament on Saturday ( 3 Aug 2013 ) are in for a surprise. 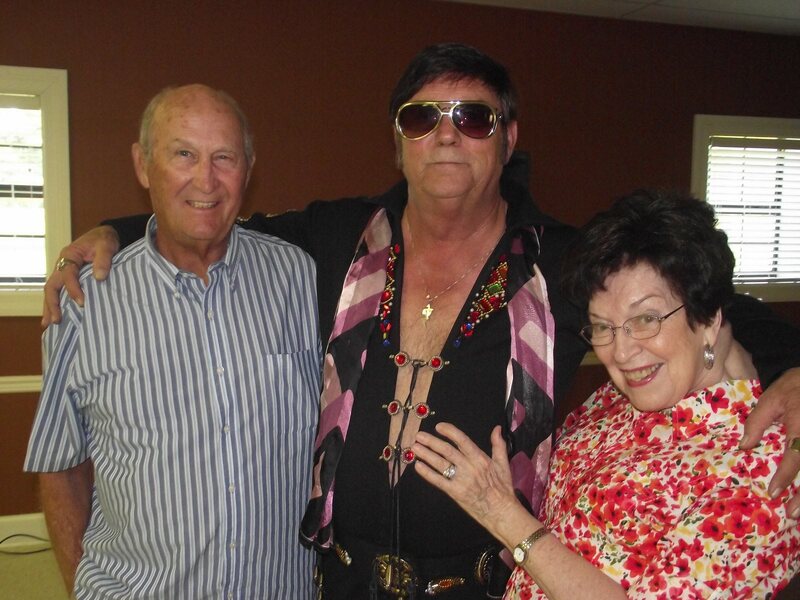 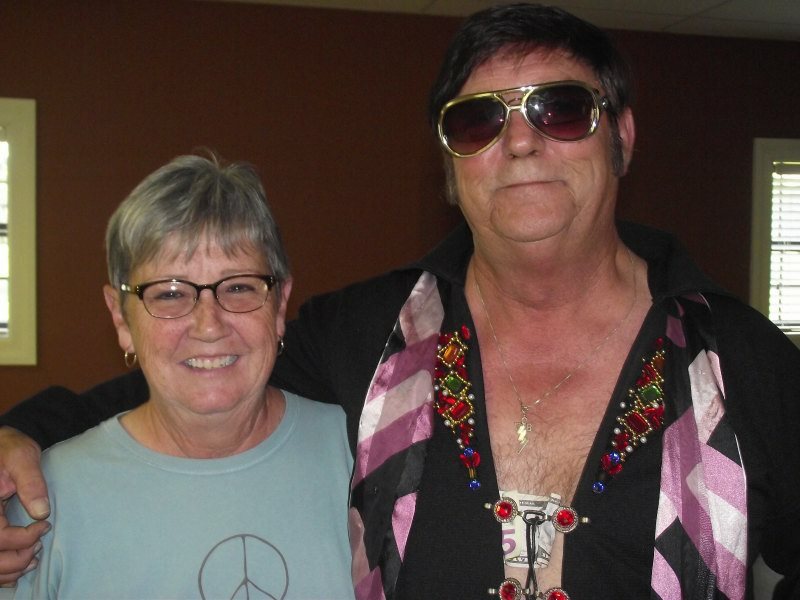 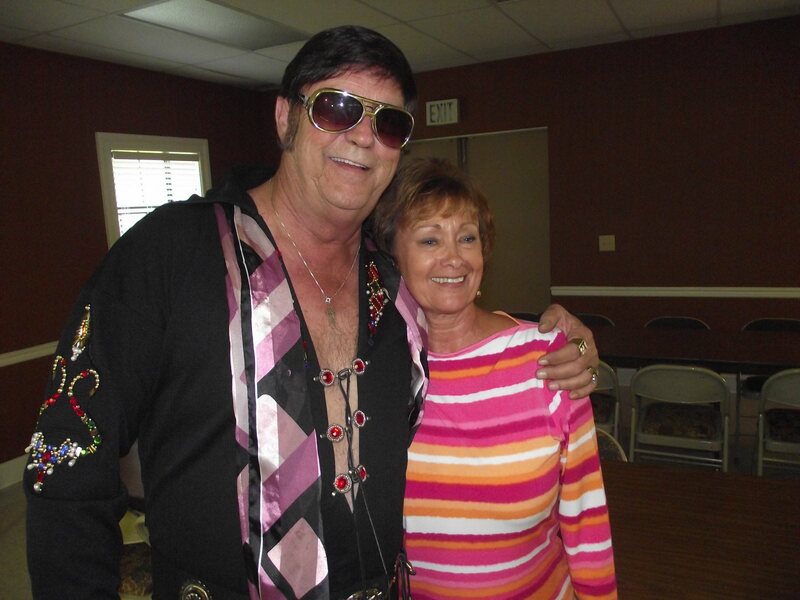 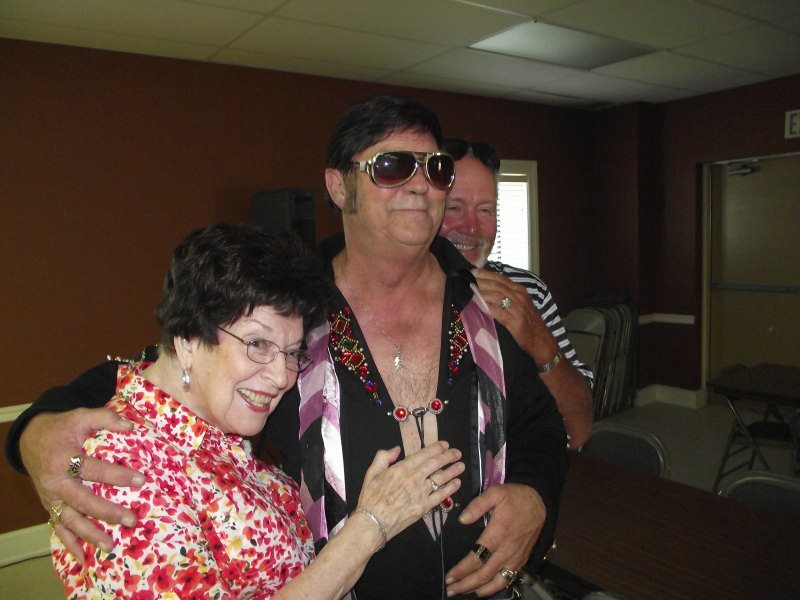 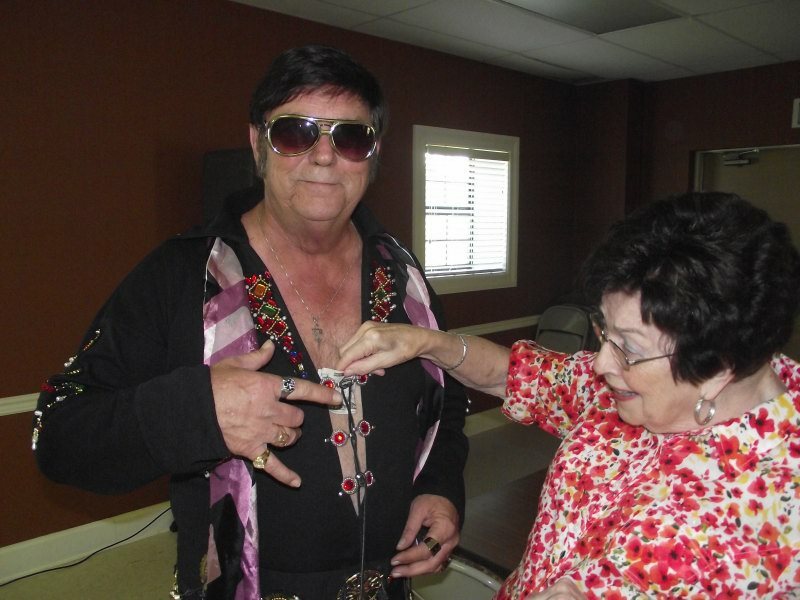 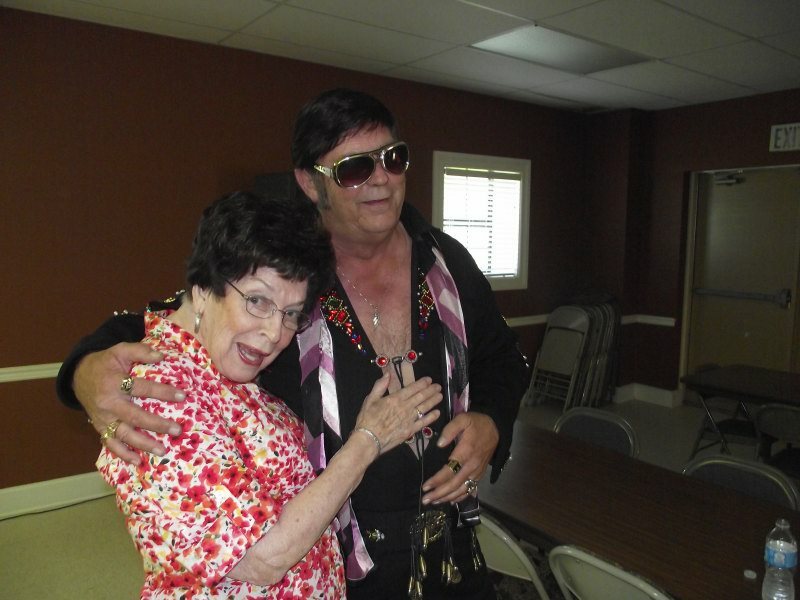 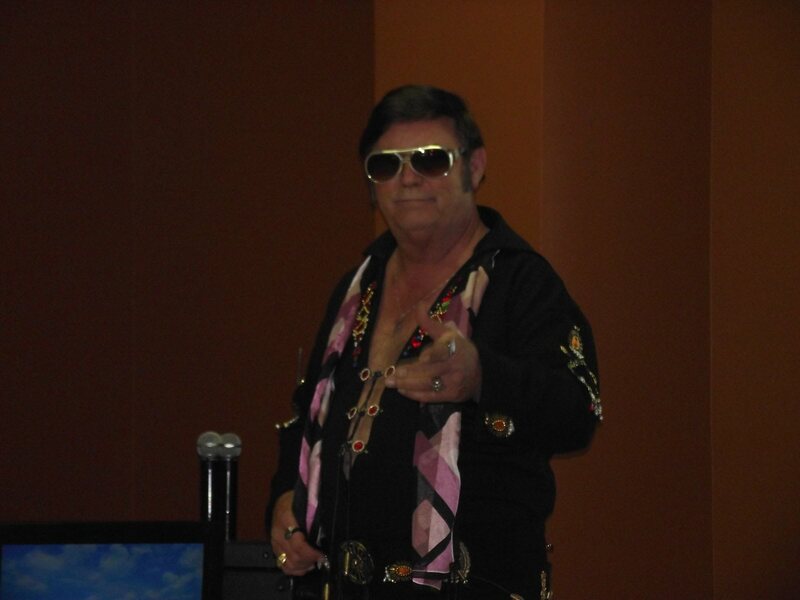 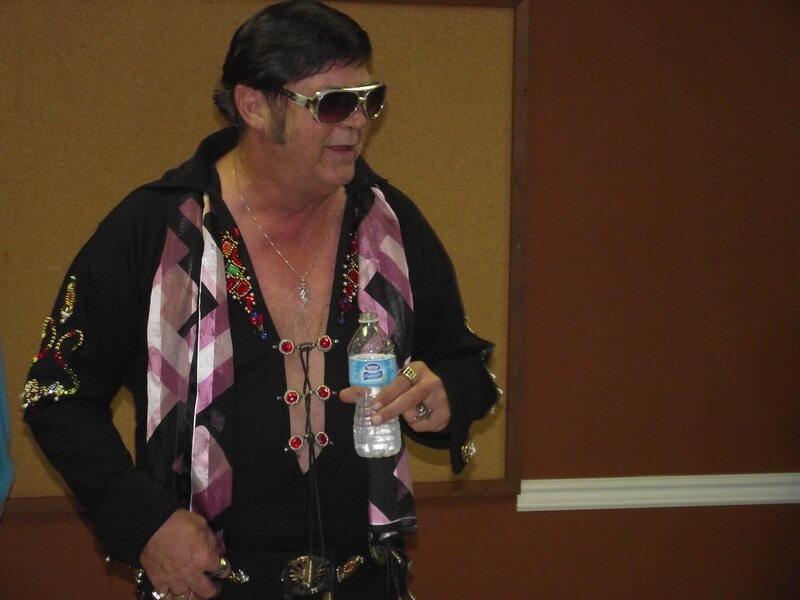 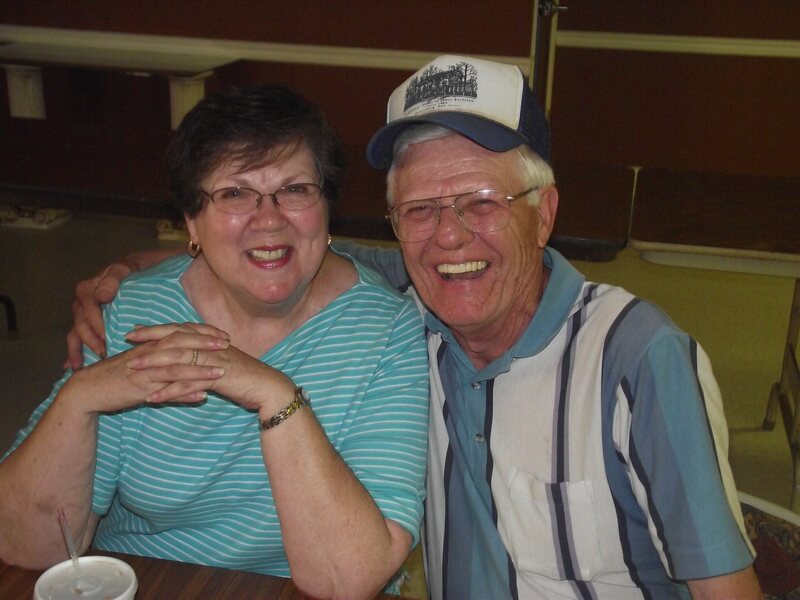 Jim, A friend to all members of Green Oaks is also a great Elvis impersonator. 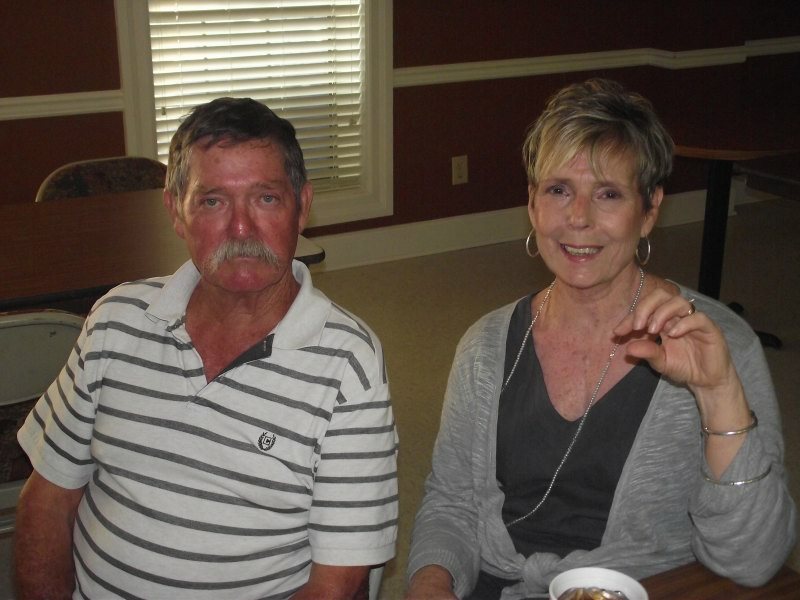 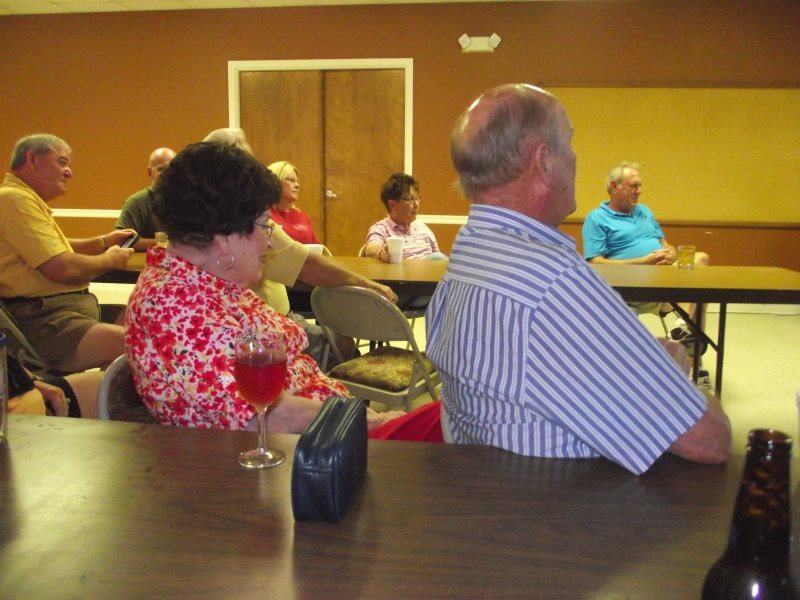 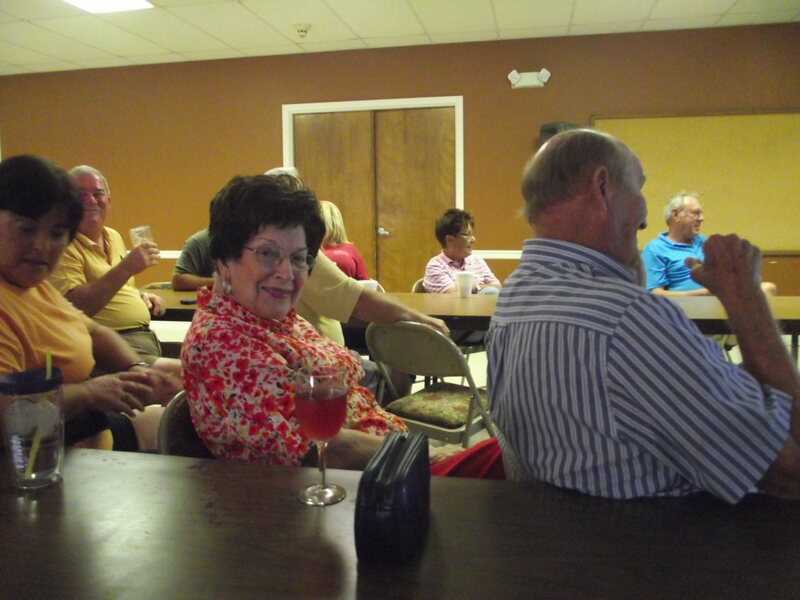 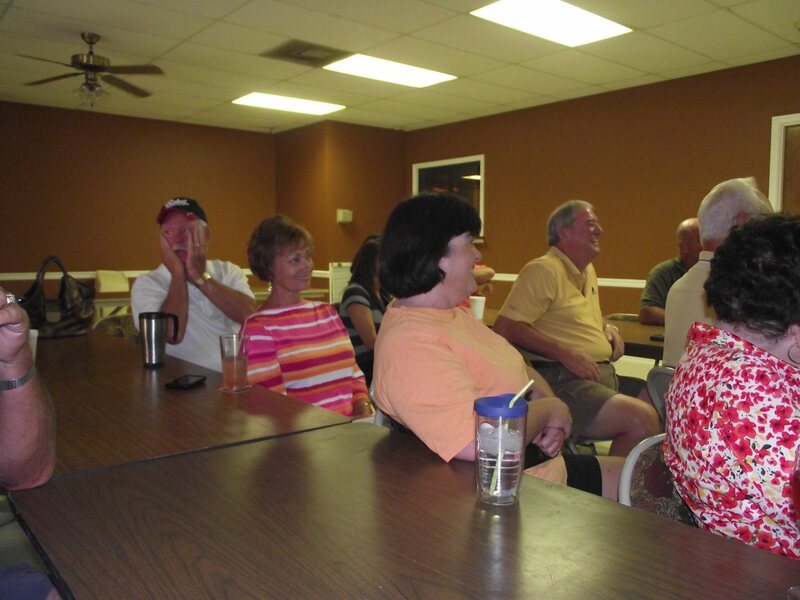 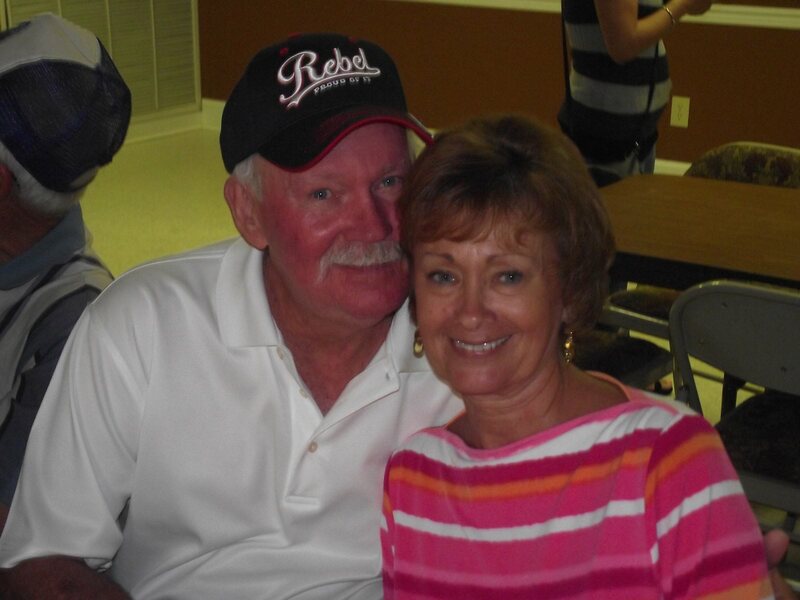 On Thursday, he performed a dry run for the members of Green oaks and did not disappoint anyone.Here are photos of Jim and a few of the people who were present. 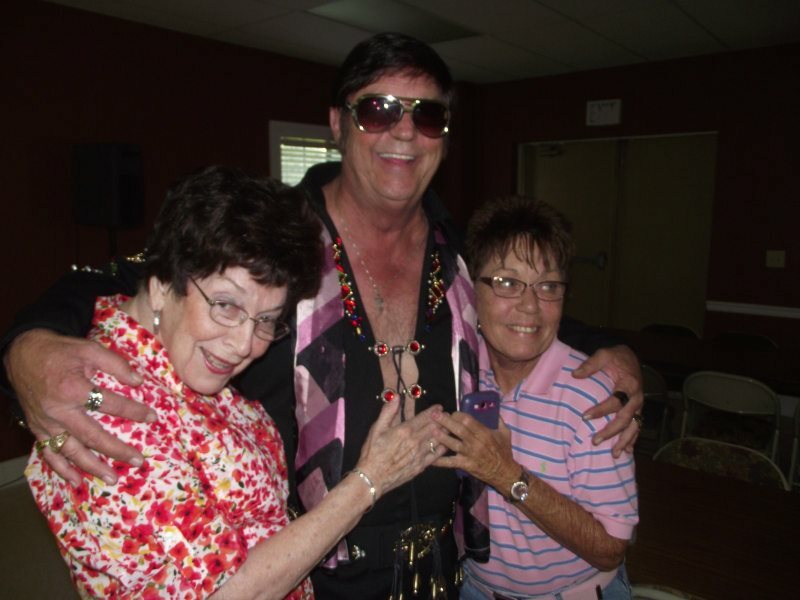 I am positive there will be some wild cheering women at his presentation on Saturday.